The Welcome tab is the first stop in setting up PayStand on your website. 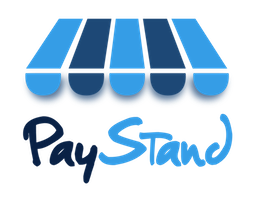 Our guided tour will take you through all the steps necessary to complete your PayStand setup. The Dashboard can be accessed by logging in. You can also access our payment button embed codes to easily make use of PayStand on your website or application. You can also use this tab to link bank accounts, customize your website's payment options, and view your website with your new PayStand portal!